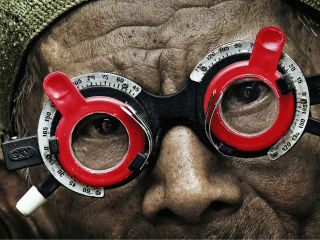 Through The Look of Silence, Joshua Oppenheimer's work filming perpetrators of the Indonesian genocide, a family of survivors discovers how their son was murdered - and the identity of the men who murdered him. The killers live just down the road, and have been in power ever since the genocide. The family's youngest son, born after the genocide, asks how he can raise his children in a society where survivors are terrorized into silence, and everybody is terrorized into treating the murderers as heroes. In search of answers, he decides to confront each of his brother's killers. The killers still hold power, so these confrontations are dangerous. The killers respond with fear, anger, and naked threats. But he manages these encounters with dignity, asking hard questions about how the killers see what they did, how they live side-by-side with their victims, and how they think their victims see them. Through these confrontations, we feel and understand what it is like to live for decades encircled by powerful neighbors who murdered your children. The Look Of Silence does something virtually without precedent in cinema or in the aftermath of genocide: it documents survivors confronting their relatives' murderers in the absence of any truth and reconciliation process, while the murderers remain in power.